Available now from Triarchy Press only. Available in bookshops and online from Feb. 2019. Save 20% on the list price when you buy any book direct from us. Use code tpdirect at checkout for an automatic 20% discount. 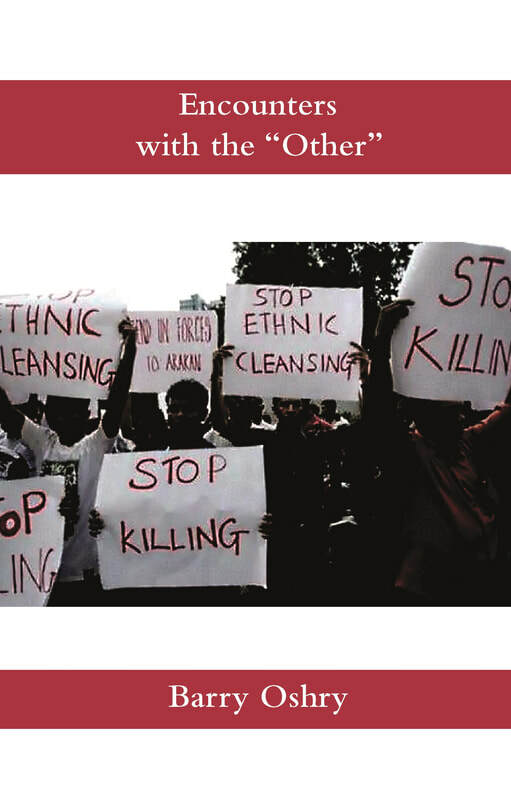 Encounters with the "Other" ends with a 'catalogue of catastrophes' starting with the ethnic cleansing of the Rohingya of Myanmar, back through the Holdomor and the Holocaust to the Armenian genocide. This is a reminder, if any were needed, that contemporary societies have not lost their taste for identifying and labelling the 'others' in their midst and slaughtering them. Indeed populist governments positively rely on the cohesion that can be found in bringing a group of people together in the face of an external threat. In Encounters with the "Other" Barry Oshry uses the lenses of 'loose and tight', liberal and conservative', 'pure and conflicted', 'tolerance and purity' to highlight the range of reflexive responses we can have to 'others in our midst' especially when we are under the stress of poverty, lack of housing or shortage of jobs. He then shows how these responses can be characterised as seeing through Power or Love (seeing in terms of our differences from the other or in terms of what we have in common with the other). Finally he suggests how the intolerant 'Power cycle' can be interrupted and tempered by the more inclusive 'Love cycle' to prevent further catastrophes. Can we believe it? Are we willing to test it? Read the book in an hour. Transform your understanding of societies for ever. Barry Oshry has a lifetime’s experience of working with social and organizational systems. Here he explains how we can understand – and avoid – the “catastrophes” that continue to occur when one culture meets another – when demagogues sell us messages of superiority or purity in the face of cultural difference. He explains how the two conventional solutions to encountering the “other” – Purity and Tolerance – both exact a terrible cost on the oppressed while diminishing the humanity of the oppressors. The possibility of “Power and Love”, working together and tempering one another, will emerge.